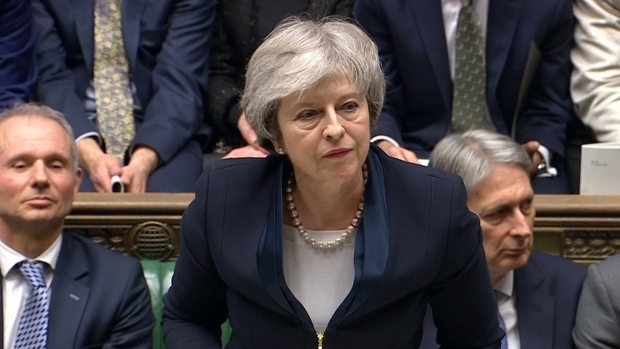 Britain's bumpy journey out of the European Union took a major turn Tuesday, as Prime Minister Theresa May handed the steering wheel to Parliament, giving lawmakers the power to slam on the brakes and divert Britain away from a disruptive and chaotic Brexit. 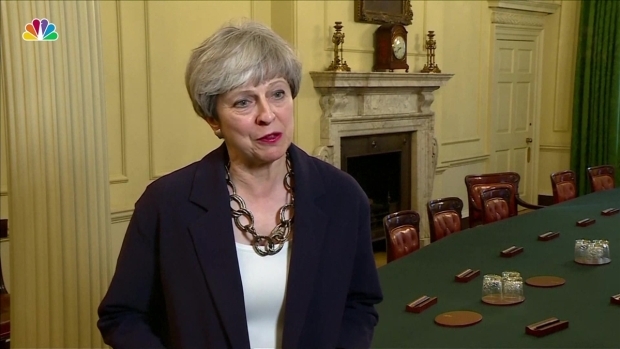 May said the promises were "commitments I am making as prime minister and I will stick by them." 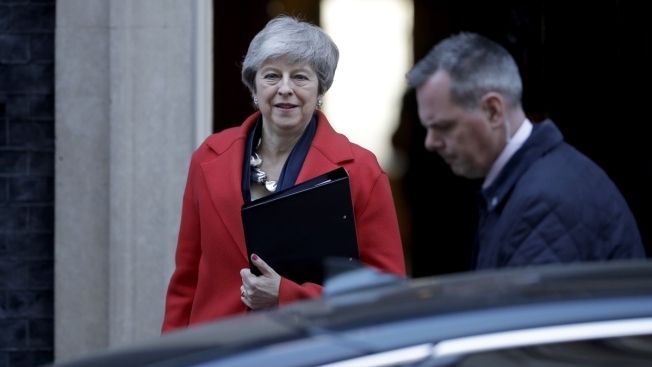 Because a majority of lawmakers opposes a "no-deal" Brexit, Parliament's choice is effectively between backing May's deal and postponing Britain's departure from the EU. "I don't want to see an extension," she said, adding that any delay to Brexit should be "as short as possible." "My suspicion is that any delay to Brexit is a plot to stop Brexit," said leading Conservative Brexiteer Jacob Rees-Mogg. "This would be the most grievous error that politicians could commit." Pro-EU politicians, meanwhile, said May's move did not go far enough. "A temporary extension does not rule out a no-deal Brexit; it merely moves the cliff-edge back a few weeks," said anti-Brexit Conservative Dominic Grieve. 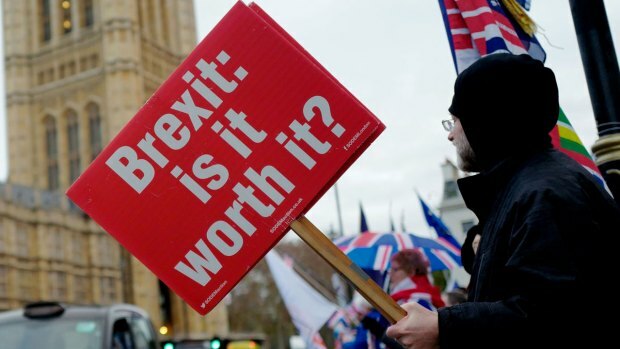 Philippe Lamberts, an influential member of the European Parliament's Brexit steering group, said a British request for an extension must be accompanied by "a credible plan for holding a people's vote on the final deal that includes an option to remain" in the EU. "Today, we have seen real movement towards ruling out a chaotic and damaging no-deal on March 29," said Mike Cherry, national chairman of the Federation of Small Businesses. 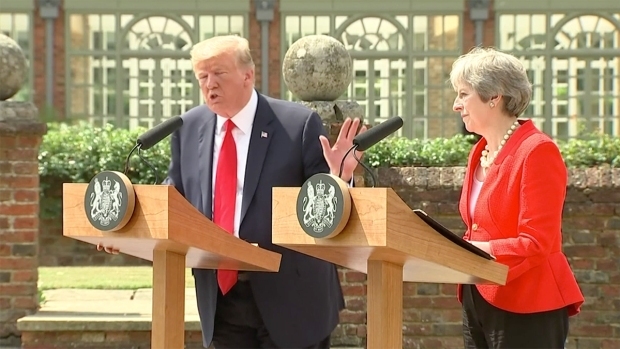 But British politics remains deadlocked over Brexit, with both May's governing Conservatives and the main opposition Labour Party deeply split over whether to leave the bloc, and on what terms. Pro-EU Conservative legislator Ken Clarke said delaying Brexit would not break the logjam, but only see the "present pantomime" continue, with "similar chaos about where we are going." The House of Commons rejected May's deal with the EU last month — largely over concerns about a provision to guarantee an open border between the U.K.'s Northern Ireland and EU member Ireland — and sent May back to Brussels to get changes. A large group of lawmakers, from both government and opposition parties, says the only way out of the impasse is a new referendum on the terms of Britain's EU departure. May insists she will never support a referendum that could overturn Britain's 2016 decision to leave the EU. Labour lawmaker John Mann said Labour had previously promised to "accept the result of the referendum." Associated Press writers Danica Kirka and Raf Casert contributed.